Menlo Park Fire Station 1 at 300 Middlefield Road. Photo courtesy of the fire district. 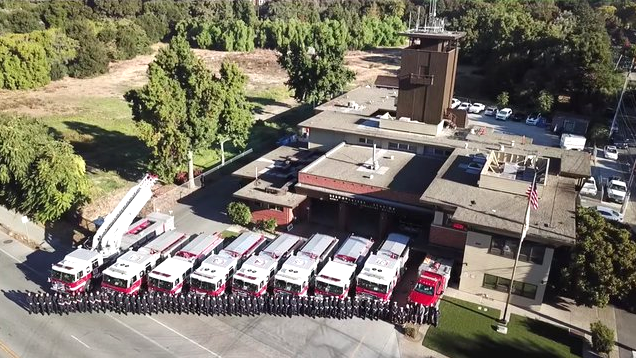 The San Mateo County Civil Grand Jury, in a report released yesterday, asserts that the Menlo Park Fire Protection District has been buying properties without a plan and has been receiving donations from Facebook, creating a conflict of interest. Both district Board President Chuck Bernstein and Fire Chief Harold Schapelhouman that funds from Facebook were the end result of negotiations between the district and the company through the two entity’s lawyers. Schapelhouman said this is because the district had felt shorted by Menlo Park’s negotiating process with large developers before, so adopted a “go-it alone” way to negotiate with developers. Facebook is not the only developer to pay fees to the district. David Bohannon and Stanford have also paid fees related to their large projects. However, the civil grand jury called the fees paid by developers to the district “donations,” and expressed concern that the money given to the district by developers would mean the district would give preferential treatment to the donors. The civil grand jury’s report is non-binding. The civil grand jury is composed of residents who investigate government operations under the authority of the Superior Court. The grand jury criticized the district’s spending of $21.9 million on five properties, and in particular the $4.6 million it spent to buy a house at 28 Alemendral Ave., next to Fire Station 3 at 32 Alemendral. The grand jury faulted the property purchases saying the district doesn’t have a written strategic plan to grapple with growth in the area. 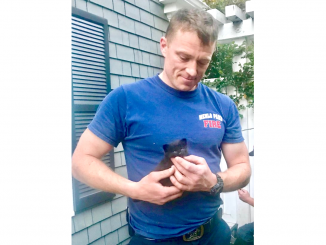 However, Schapelhouman pointed out that much of the property acquisition in the past year has been strategic, since the properties purchased neighbor existing fire stations, which will eventually be demolished and expanded onto the new properties. The only property bought not near a fire station was a 28,000-square-foot warehouse in East Palo Alto for its National Urban Search and Rescue Task Force and other special operations. The report said the district needs a strategic plan to address growth in East Palo Alto and east Menlo Park. Bernstein pointed out that the fire board’s strategic planning committee has been meeting nearly every month this year, in hopes to have a plan soon. “We have realized the magnitude of the problem and we’re getting to work on it,” Bernstein said. 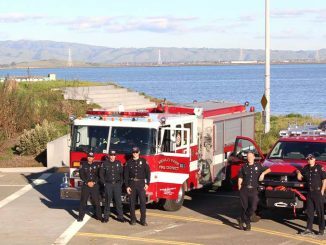 Schapelhouman said in response to the growth in the area, thanks to companies like Facebook, more firefighters have been added to the district’s east side, and the district has added response vehicles stationed at Station 2 in East Palo Alto and Station 77 in east Menlo Park. The district’s elected board will be discussing the grand jury’s report at its August meeting, Bernstein said. It’s hard for me to stomach the fire district buying houses and then turning around and letting their employees live in them. If you’re going to buy a house to expand a fire station, then do that—but don’t hold on the house for years and use it as a dorm for firemen. Thank you for the link to the grand jury report. How can the fire district be criticized for not charging developer fees on companies like Facebook when it is the cities that ultimately decide if the district can do so? It seems to me like the city of Menlo Park ought to be working cooperatively with the fire district, not fighting them at every turn. To miss out on impact fees because the district didn’t have the appropriate plan in place is outrageous. I hope some good candidates run this fall so we can dump this current board. This report shows that we need new leadership in this district. MPFPD is a well-managed entity, one of the best around. They aren’t constantly asking voters for tax increases like the MPCSD. They save their money and buy properties strategically, usually next to fire stations they plan to expand. And the MPFPD has set aside money to pay down their CalPERS liability. Neither of the cities that are attacking the fire district, Menlo Park or Atherton, is doing anything like that. The statistic that matters to me in the report is the ISO rating for the department, which measures their firefighting ability on a 1-10 scale, with 10 being the worst. MPFPD has a 2, same as Redwood City and Palo Alto. The only jurisdiction around here with a 1 is Mountain View. 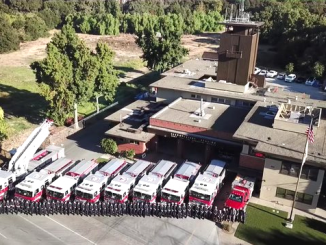 Most fire agencies in California have a 3, 4 or 5. https://www.isomitigation.com/ppc/program-works/facts-and-figures-about-ppc-codes-around-the-country/ Only 31 have a 1 rating and just 148 get a 2. I think that’s the bottom line for most people. The insurance industry developed this ISO rating standard to judge fire departments. I’d rather go with the ISO rating than the opinions of a bunch of retirees on the civil grand jury. If a fire district isn’t allowed to directly negotiate with developers for impact fees, it has no choice but to work with the city government involved. But Menlo Park has been openly hostile to the MPFPD district for many years, so it’s pretty clear why Facebook and Bohannon weren’t forced to pay impact fees to the fire district, and why the district had to do an end-run around the city. Whose fault is this? I’d blame the city council, particularly the council member whose husband sued two fire board members in a case that was thrown out of court. Interesting that the Grand Jury didn’t address this at all!